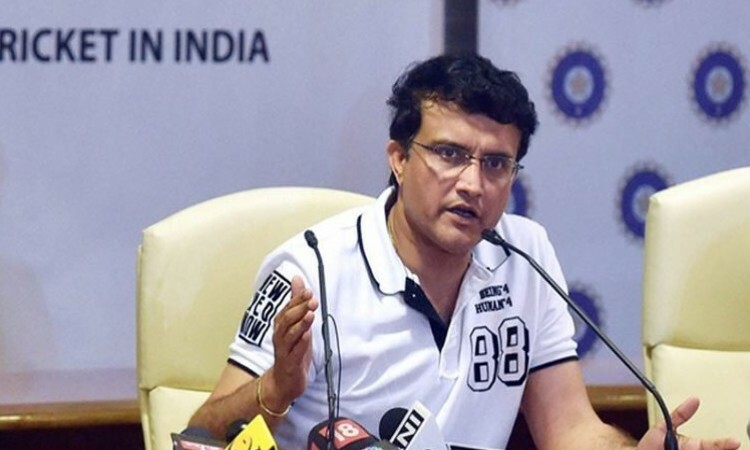 Kolkata, May 11 (CRICKETNMORE) - Former India captain Sourav Ganguly on Friday joined some of the English players who have expressed their concerns about the England and Wales Cricket Board's plan for a 100-ball competition, but remained open-minded about how it's going to shape up. "It's actually 16 and half overs. So from 50 overs, it has come down to 20 and now to 16 and a half. Let's see what happens. I think they are trying to make 100 a number instead of overs. We will have to wait and see how shorter it gets. "You got to be very careful that it should not be such that before a spectator comes and blinks, the thing is over," Ganguly said while speaking at the Pro Star League, an U-16 school cricket tournament which aims to identify and nurture talent at the grassroots. "The spectator wants the fun and pressure to go on for a certain period of time and then find genuine talent and genuine winners," he added. Ganguly said the shorter the format gets, the gulf between the best and the ordinary reduces. "The shorter the format gets, the difference between the very good and the ordinary becomes much lesser." The 45-year old put his weight behind test cricket, saying the real challenge is when you have to bowl with the same intensity even in the last session of a day. "That's why test cricket is the biggest challenge in cricket still. It tests you as you have to come and bowl in the morning and then in the afternoon and then at tea time when you're tired fielding all day, you still have to bowl at 140kps and that's when it's tough. "It requires concentration, skill, technique. T20 will remain, it's commercial and fun but the real version will be the longer format of the game." The 100-ball cricket format was proposed in April as a way to attract new and younger audiences to the game but has had a mixed reaction from players and fans. England director of cricket Andrew Strauss has said the 100-ball proposal, which the ECB wants to introduce from 2020, is aimed at "mums and kids in the summer holidays". The programme involves over 900 schools across 10 cities having 24 teams from four zones -- east, west, north and south -- qualifying for the mentorship phase. Ganguly is one of the mentors alongwith Yuvraj Singh, V.V.S. Laxman and Zaheer Khan. "When I was growing up, there was not enough school cricket in Bengal. Bombay had a lot of school cricket. The likes of Sachin (Tendulkar and Vinod (Kambli) had come up by scoring lots of runs in school cricket. So it's important that school kids get an opportunity," Ganguly said about the importance of school cricket.